Please contact me if you are interested in having a Doula. 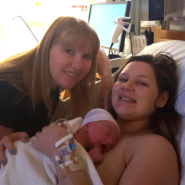 What are your birthing goals and how can I help? 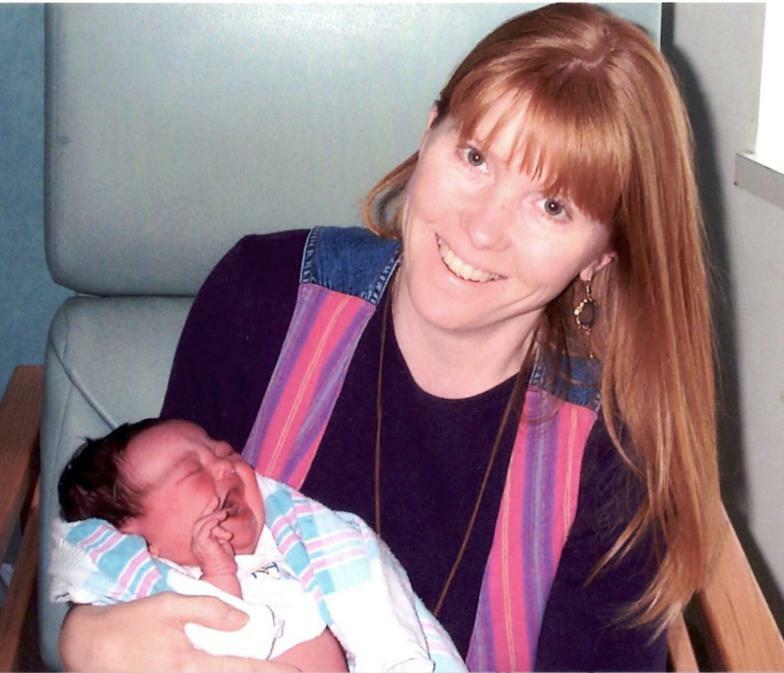 ​Rachel was my Doula for my 3rd and final birth. After my first being a cesarean section and my 2nd being almost not a VBAC....but it was, I knew I wanted and needed support for my 3rd birth. I really wanted to experience birth the way it was meant to be: with minimal medical interference and no meds. Rachel and I are very close friends, but let me state emphatically, that even if I hadn't known her I still would have hired her to be my Doula. ​ KEY! As fate would have it, my baby was late. I was spot on with dates (having used fertility monitoring to conceive her) and she was a big girl. My midwife didn't want me going into a 42nd week of pregnancy so we opted to induce. It certainly wasn't ideal, but it was great for being able to get Rachel to Atlanta from Plant City in time to actually be there. Rachel was the epitome of calm, compassion and care. She put me on the giant inflatable ball and had me gently bounce and rock back and forth on it. It was great. She helped me to center myself and to just let go into the contractions. We walked around the hospital too. My husband was there and he was great. He loves Rachel and loved having her there to quell him and to reassure him. I think folks can forget that even the best, most prepared husband can have a rough go of birth, emotionally, watching his wife go through something he can't do anything about. Think on this if you are lucky enough to secure Rachel's services. She will reassure your husband and help him to be the support that you need as well. That is an important thing. Birth can be frightening for fathers, as it is something they can never actually do. It is comforting to have a Doula there to help him know what is going on and why and that everything will be ok.
My labor was fast, 6 hours from start to finish. About 4 hours in, the pitocin induced contractions became to unbearable for me to relax into and let go. I started fighting them and tensing. Rachel did her very best to get me through them. In the end, I decided on a walking epidural. It allowed me to feel the contractions and the birth, but not so much that I was fighting it. I believe, to the bottom of my core, that this is because of the pitocin. I had not had it for my 2nd birth and labored through transition with no meds. I wish I hadn't had to be induced. I don't doubt that had I not been, my birth would have been entirely unmedicated and wonderful. Rachel was amazing and supportive. I could still feel everything. She was there to remind me to breathe and pant and not hold my breath. She also reminded me, and my husband, to look in the mirror; to see our daughter coming into the world. While in the throws of pushing you can forget to look up and see the miracle. Rachel was there to remind us. After our daughter, Autumn, was born, Rachel was there to get her to me as soon as possible. The pitocin labor was rough on Autumn and she had to be aspirated before I could have her. Another reason to try and avoid pitocin and epidurals. My husband was with Autumn and they never took her from the room. She was 8lbs 15oz. Rachel was making sure I had something to drink, she helped me walk to the bathroom. She called my parents and two sons in to see Autumn. Then she respectfully, firmly, but gently made sure the nurses got Autumn to me ASAP. Rachel stayed with me and stayed awake all night at the hospital. Autumn nursed all night to bring my milk in. I am truly grateful to Rachel for all of her Doula expertise. She is an exceptionally wonderful person. Anyone who is lucky enough to have her as their Doula will be truly blessed. Rachel has been more than a doula to me. She has been a friend and mentor. When we arrived in Plant City from New York City expecting our first baby, I was nervous about giving birth for the first time after being a professional ballet dancer in New York. My family lived in Alabama and my mom's health prevented her from traveling. I had no sister so who would be there to help me other than my husband? We decided a doula would be the perfect solution. My husband knew that if I was in pain we needed someone that could help make decisions because he would be focused on me. After meeting Rachel I knew she was the one I wanted there with me during such an intimate time in my life. 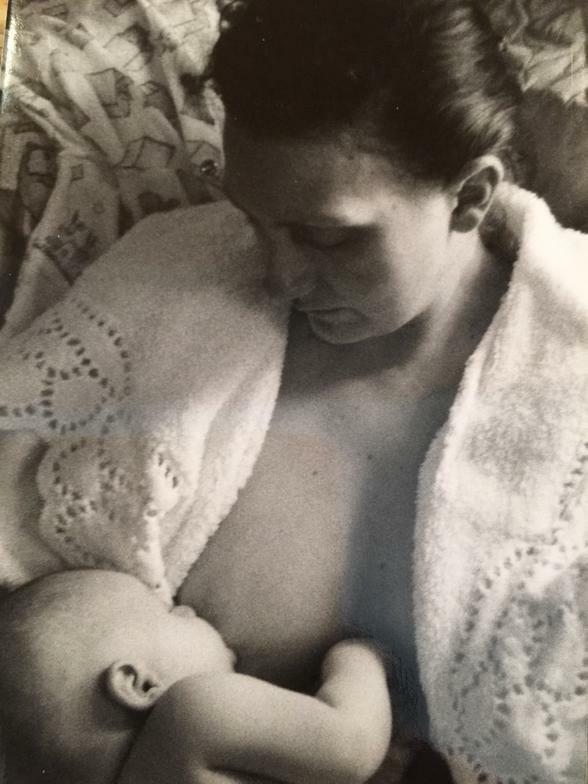 I spent a lot of time with her learning about attachment parenting and natural childbirth. I loved everything she was teaching me and it felt like I found a true mentor. I loved watching her home-school her boys and continue that loving relationship she started when she brought them into the world. 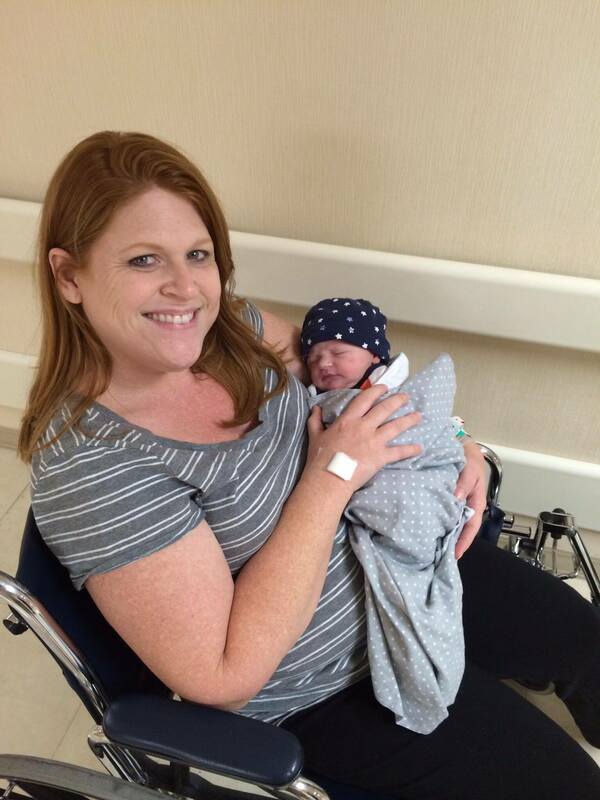 ​When I went into labor my husband was not in town and it would take some time for him to drive back to Plant City. Rachel was right there by my side until my husband could get to the hospital. She was there for me to help carry out the natural childbirth plan I wanted even when the doctors tried to talk me out of it. She helped me make decisions of what to do next when my mind was clouded with pain. I was able to bring my son into the world with no drugs and with my husband by my side. Thank you Rachel for empowering me to do what we were meant to do as women; Bringing healthy beautiful babies into the world. When I was 23 years old I gave birth to my first child, a little girl. My knowledge regarding the birth experience as a whole was fairly limited. I relied on my doctors to inform me of the best decisions to make regarding my care. While this may sound logical, it wasn't until later that I began to understand what it really meant to embrace your body as a woman and what that means during the process of childbirth. Fifteen years later I found out I would soon be welcoming another little life into my own. I decided I wanted to find a doula who would help me to not only 'get through' the birth experience but who would help me to love it as well. From the moment I sat down with Rachel I knew she would be perfect. She has such a calming and peaceful nature. Her main goal was to make sure I got the birth experience I wanted. She encouraged me along the way from healthy eating and exercise to emotional health as well. Rachel wants to make sure the mother's entire journey is a loving and enjoyable process. She cares about the family and seeks to involve both parents and any siblings as much as they feel comfortable. Rachel was comforting and encouraging and ready to help in any way possible. She is readily available no matter what time of day or night it may be. Rachel brings knowledge and a genuine desire to see mom and baby have a wonderful and fulfilling journey. I couldn't have asked for anyone better to be by my side! Rachell was amazing from the day we had our first meeting. I experienced episodes of high blood pressure and ultimately had to be induced at 38 weeks and 3 days. Rachel checked on me often, went to an appointment with me, and was at my bedside at 5am when I needed her. My contractions were awful because of the pitocin I was given, but Rachel talked me through them. My husband couldn't have made it through my labor without her help. He was very skeptical of the whole doula thing but later admitted hat he was thankful we had her there. Even though my pregnancy has ended Rachel still checks up on me and offers advice when I need it.